Need more information on Roda Java Furni located in Indonesia? If you’re considering doing business with this company, read below to read one buyers experience with when they were looking to source Calculs Biliares De Bovins from them. You will also find some links to help you find more related information about Roda Java Furni on Supplier Blacklist and on Google as well as other bad suppliers of Calculs Biliares De Bovins reported here on SBL. Need More Info on Roda Java Furni? If you need more information, you can click the below links to search for more submissions about Roda Java Furni on Supplier Blacklist as well as go to the search results page on Google for more reviews online about this company. 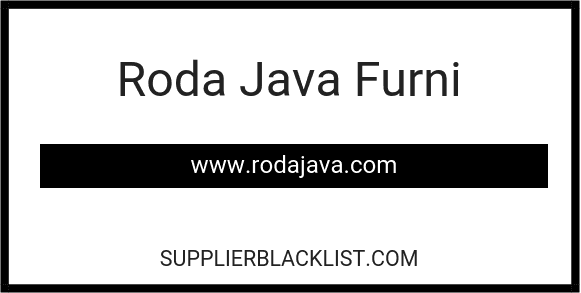 Perform a Supplier Blacklist search for more reviews on Roda Java Furni. Search Google for Roda Java Furni Reviews.